Product Details: Appx. weight 4 oz bar. 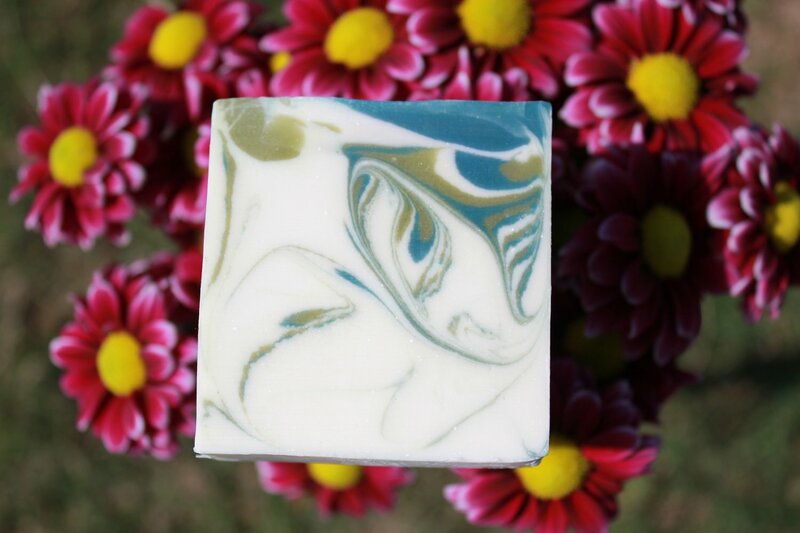 This bar has no fragrance oils in them, for those who are looking for a beautiful bar of soap without scent. Ingredients: Water, Olive Oil, Coconut Oil, Palm Kernel Oil, Sodium Hydroxide, Avocado Oil, Canola Oil, Castor Oil, titanium dioxide and mica for color.